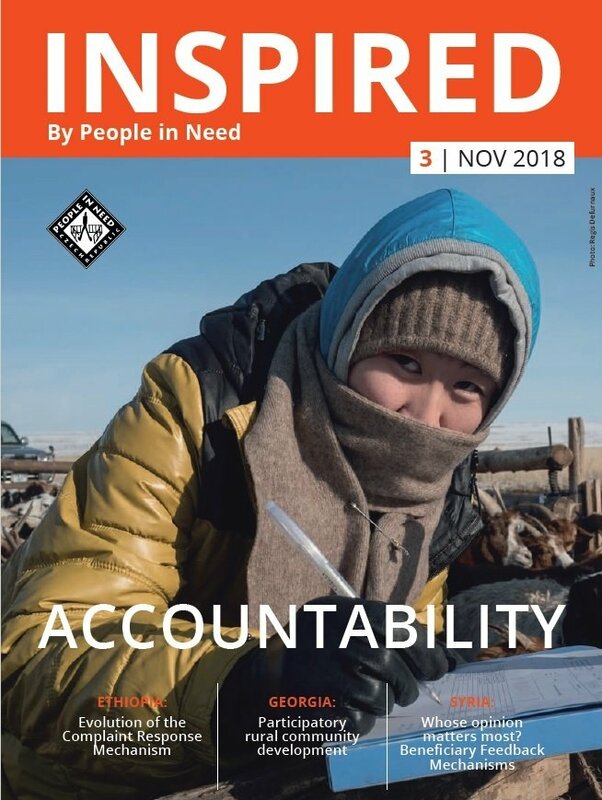 In the third issue of Inspired, we introduce examples of how PIN approaches accountability in its work and how we learn from the process. Explore our safeguarding standards and commitment to the Do No Harm Principle. Learn about the role of accountability in protection mainstreaming. Discover practical approaches to forming partnerships and enhancing the participation of local stakeholders, including children, in our projects in Cambodia, Syria and Georgia. And find out about the new tools PIN has been developing to responsibly assess the value of our projects and securely manage beneficiary information. Ultimately, accountability is about our acceptanceand behaviour, not about putting things in writing.